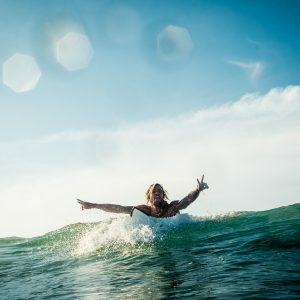 Travelling to Sri Lanka soon and looking to learn to surf or trying to find an epic surf camp – well why not check out Lapoint Surf Camp in Sri Lanka? 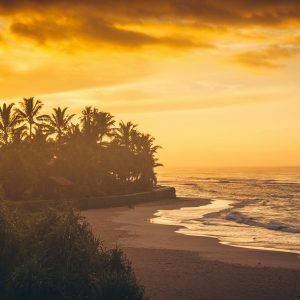 Sri Lanka has heaps of incredible beaches and pumping surf to explore, so it’s an ideal spot to learn to surf in warm, tropical waters with stunning back drops of palm tree lined beaches! It’s also an ideal spot for those who have already got to grips with the waves and are looking for the next surf trip destination. So Would I Recommend Lapoint Surf Camp In Sri Lanka? 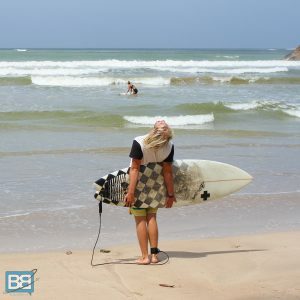 The Lapoint surf camp in Sri Lanka is based out of the growing surf town of Ahangama in the South of the island, a spot which is fast growing in popularity due to the waves in the area and the abundance of beginner spots too. 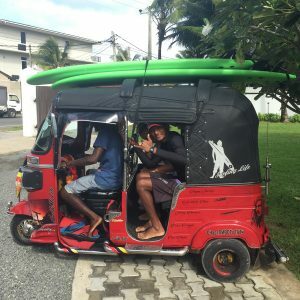 Here you’ll get immersed in the hustle and bustle of life in Sri Lanka and the surf camp is just a short tuk tuk ride from a whole heap of amazing local restaurants and beaches – so make sure you get out there and sample some of the amazing food on offer! Admittedly though I didn’t explore quite as much as I should have – the surf camp itself was just too inviting! But if you head this way the town is a great introduction to the sites, sounds and culture that this incredible country has to offer. The surrounding area also has some great spots for a few beers and some pumping nightlife too and you’ll find that there will always be a crew from the camp heading out if you want to head out and let loose after a day in the waves! So what’s included in the LaPoint Surf Camp Packages? One of the big exclusions from this surf camp were airport transfers – which were pretty steep at £50 each way per person if you ordered them through LaPoint. You can get for around £40 for a minibus (which could fit in boards too) but be prepared to haggle hard as it is a 3-4 hour journey. Although not all meals are included you can order in house for lunch if you want, or head off into town to sample some of the local dishes – something I highly recommend you do as their super tasty and really budget friendly! Also if you’re looking to explore a bit more of what Sri Lanka has to offer the LaPoint team can also help arrange a variety of local tours, although these are at additional expense. Lazy Pool Days At the Surf Camp! Having bounced all over the globe surfing I can hands down say that the Lapoint Surf Camp in Sri Lanka was one of the nicest surf camps I’ve ever stayed at! The best way to describe it is as a surf villa more than a camp! Open plan, spacious and complete with slack line, swimming pool and movie area it’s definitely a high end camp and was an amazing place to kick back and relax in between surf sessions. As you might expect from a high end camp there was a choice of private, twin and dorm rooms – all kitted out with A/C – a welcome relief from the humid Sri Lankan heat. Breakfast and dinner were both served at the camp in a buffet style and you were free to head out and find a local restaurant for lunch or order off the in-house menu which had both local and western dishes to choose from. One of the great things about all the Lapoint Surf Camps is the fact there are 4 different packages to choose from depending on your surf ability – so whether you’re taking your first lesson or wanting to push your skills to the next level there’s an option for everyone. Level 1 – if you’ve never surfed before or have only had a couple of lessons this is the place to start. Your coaches will help you perfect your pop, learn to paddle and basically get you up and riding! Level 2 – for those who can already confidently stand up and want to progress to unbroken waves. This will give you a better understanding of wave selection, basic turns and tackle bigger surf safely. Level 3 – if you’re already confident on unbroken waves this option will help you push things further, with bigger turns, bigger waves and a larger variety of surf breaks. Bed & Breakfast – if you’re not interested in coaching and have your own kit with you this is ideal as it simply includes accommodation, food and you can add on a surf guide who will take you to the best breaks each day. The joy of the above is the fact that if you’re travelling in a group of mixed abilities you can all make the most of the waves and have an epic time. And don’t worry if you select the wrong option or progress a bit quicker, the first day is used as a guide for your ability and you can change groups if you find yourself struggling or doing really well. Time To Hit The Waves! Sri Lanka offers up some awesome surf breaks to learn to surf and the waves around Ahangama are no exception. Easy, spilling waves over a sandy bottom are perfect for beginners and there’s plenty of beach to practice your pop and let your instructors perfect your technique before hitting the water. The standard of surf coaching with LaPoint is definitely up there with the best of them and their lessons follow a set structure which covers everything you’ll need to know and paddling, popping and of course in water safety. Throughout your surf lessons your instructor will be quickly on hand to help correct any mistakes and of course shout some words of encouragement as you start to feel the stoke…YEWWWWW! And of course for those of a higher level of surf the area offers a variety of breaks and you’ll be taken to the best spots for the days conditions and your ability. One of the things I liked most about the LaPoint setup was the fact even outside the lessons the coaches were stoked to help answer any questions and even ran a few informal workshops on learning how to read swell reports and introduced students to a variety of websites and information designed to help take their surfing to the next level. By complete coincidence it turned out that one of our surf coaches and guides for the week was my buddy Adrien – who I first met when I went on a surf trip in South Africa with Ticket To Ride where he was completing his surf instructor training course! He’s been coaching with Lapoint since he got certified and has since done back to back seasons in their Norway and Morocco surf camps before heading to Sri Lanka. But friendship aside all the Lapoint Surf Guides were super helpful, friendly, certified and competent instructors – always on hand for tips, advice and to make sure you were having a good time. They also speak a mixture of languages (including French, Spanish, Swedish and of course English) which is always handy if you needed some extra help or didn’t quite understand. In the downtime at the camp they would also run through how to read swell reports, surf safety advice and other handy bits on information which always helps improve your ocean knowledge, something I think more surf camps should incorporate. Straight up – this is definitely more of a flashpacker surf camp and comes with a price tag to match, so if you’re looking for a low cost surf camp Lapoint will probably smash your budget! At £525 ($895AUD or $710USD) per week it’s definitely at the higher end of the scale – but to be honest the quality of the camp means yo do get what you pay for. In the end including lunches, extra transport to explore the area and beers I ended up spending and extra £5-10 per day during my stay – but it really depends on how much you want to party! If you want to kick back in a high end surf camp and have the budget for it LaPoint surf camps are a no brainer – you’ll meet heaps of awesome new people, relax in some stunning accommodation and get some quality surf coaching too. If however you’re working on a tighter budget you might find it a bit out of your price range and there are cheaper alternatives, but to a large degree you’ll get what you pay for. Have you visited any of the Lapoint Surf Camps? The complete guide :) I will visit Srilanka next month. It will be helpful.